Rent a Chevy in Miami for a day or drive it for the whole month. 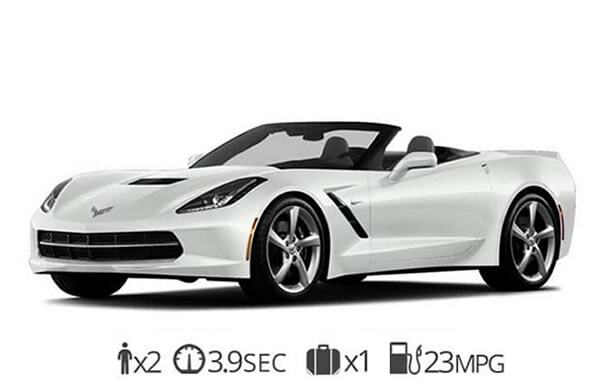 We have two models available the legendary American made Corvette Stingray convertible and the Chevy Camaro convertible. You can’t go wrong with either sports car. They both provide plenty of fun and excitement. We can have any of these cars delivered for FREE to Miami International Airport, Miami Beach, South Beach. Downtown, Doral, Brickell, Midtown, or anywhere in South Florida. Get Behind the wheel of one of these iconic American muscle cars today! You won’t be disappointed by the performance and styling these beautiful sports cars provide. The Stingray is an iconic muscle car and one of the most requested exotic car rentals in Miami. An American supercar that offers plenty of power at an affordable rate. The convertible top can be lowered in seconds and allows you to breathe the fresh ocean smell when traveling through Miami Beach. Inside your corvette rental, you will find a driver-oriented cockpit that is simple to use. Under the hood is a 6.2L V8 engine that provides up to 460 horsepower. Rent a Corvette today with us and experience a premium exotic car rental experience in Miami. 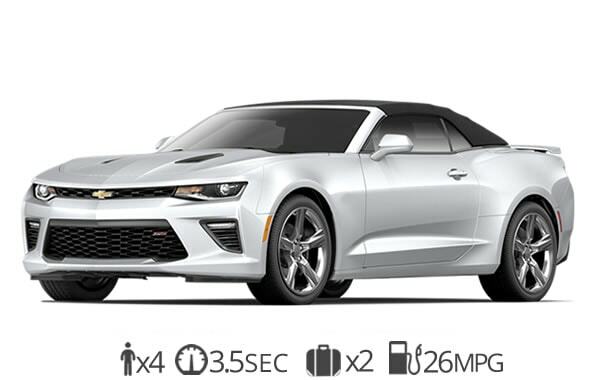 Try our convertible Camaro rental service today and experience a fun American car rental all weekend. The Camaro is our most affordable Chevy rental in Miami. If you’re a muscle car enthusiast then you fall in love with the new model. The interior has been updated with a new look. The digital dash and media center has also been refreshed. The Camaro is a great car to rent for your next trip to Miami. Give us a call and we can have this beautiful sports car rental waiting for you when you arrive at Miami International Airport. Ready to rent a Chevy in Miami?